First Stop on the MK Blog Tour – Jennifer Don! For the first stop on the amazing Master Koda tour, I am hosting for Jennifer Don, an amazing author and person I’ve known for a long time. She’s always supported me when I wanted to give up, and I hope to do the same for her. 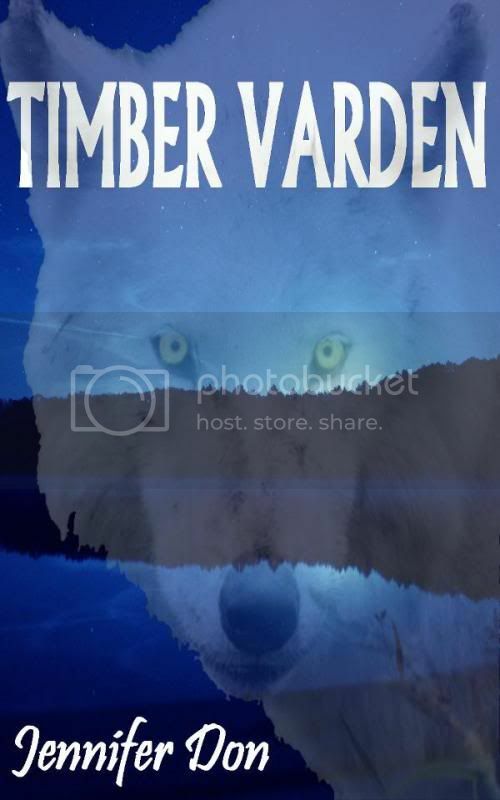 She has one fully finished novel which is undergoing some edits – but Timber Varden is an amazing tale, featuring wolves and a writing with writers block (which I’m sure we’ve ALL had at some stage!) What we want to know today is…What inspired Jennifer to write? Read below for her answer. What inspired me to write? An easy question for others to answer perhaps, but this soul, this being, finds it difficult to pinpoint the moment where I thought – Hey, I can do this. It was never a thought that crossed my mind during childhood or time spent through school. Hell, I certainly read a lot during that time period but I never once saw myself as being someone who could write a book, let alone start one. But then everything changed rapidly in the space of 6 years, all I’d dare say on the matter is that nothing has been the same since. I wouldn’t change the past, no matter how much I wish those days had been different. Instead, I hold my head high and look to life with a different outlook. I guess then I can say that life itself has inspired me to write the thoughts that cross my mind, but it wasn’t always about writing a novel. Life is young and there is plenty to see and take inspiration from. At 25, I still haven’t decided where I want to be in years to come. But one thing I know for certain is that I’ll never give up writing. Not now. Not after experiencing the passion deep down when you create a basic image in your mind and allow it to build on paper into something far bigger than you could have possibly imagined. How a simple strain of creativity can lead to a full blown novel just waiting to be edited. I’ll tell you this; there is nothing better in this world than the feeling of achieving a task that you had never thought possible. It can be done, it has been done and you can achieve the impossible too and you know why? Because deep down, if you look at impossible it says I’m Possible – anything is possible when you put your mind to it. Where did I begin, I hear you ask? It didn’t occur to me to write anything until 4 years ago. It’s hard for me to put it into words, but my fellow writers out there will understand what it’s like when you have random sentences running through your mind, where instinct tells you to write it down. And they weren’t just the odd sentence or two; they became verses, poems to be more specific. Okay so they aren’t fancy, but they gave birth to the greatest passion to set my soul on fire, the passion to write. Each poem written was either based on a road of spirituality or they were based on the world around me. I believe that these had become pebbles in a river that then grew to stepping stones to something bigger. But that’s not everything; I’ve always had a love for the unknown, the paranormal. I would spend many hours reading books on vampires, ghosts and werewolves but despite my love for them, I doubt I could ever write a Vampire novel. Not because I don’t want to, but because it’s been done. And I don’t really want to be another shadow in the night, following the same flickers of inspiration as those gone before me. I know that nothing now can ever really be classed as an original piece of work, but there is enough that can be written to class it as such. We writers may take inspiration from books that we read, films that we watch of music that we listen to, but be aware that no two books are ever alike, not totally. The door is always open, and it’s in my soul to write, and to think that perhaps one day in the near future, I’ll walk through that door with a published book in hand, until then it’s back to editing I must go. And to those of you who would love to write a book but feel you never could, why not give a go and see how you get on. You never know, you might be pleasantly surprised! Jennifer will be more than happy to answer any questions you have for her. You can contact her at any of the links posted above. Excellent post! Well done you two. I love your cover, Jennifer. Best of luck. Showing some love to Jennifer and the blog! ❤ Honored to say I will be creating Jen's cover for her next novel! I'm so excited!!!! That’s amazing Mooky! I hope you have fun with it, Jen is a wonderful lady! Wonderful job ladies! I have so loved reading and getting to know you better Jennifer.